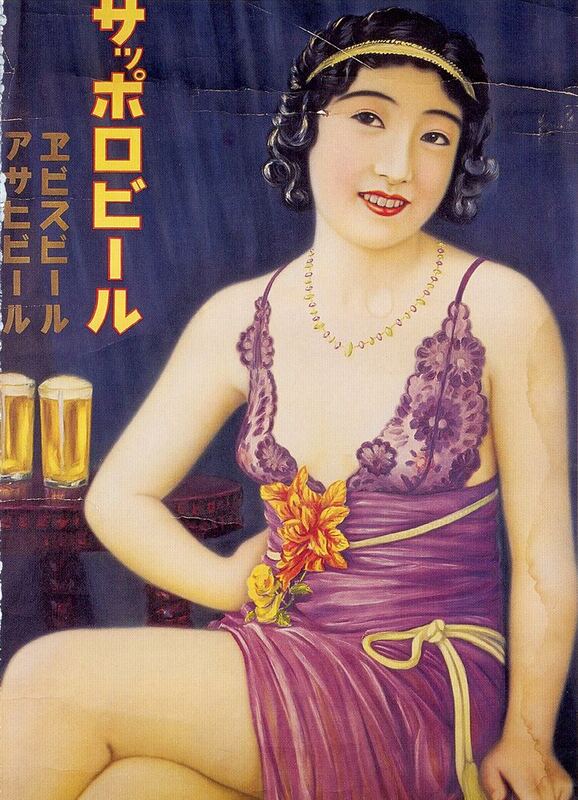 Sapporo Beer, Ebisu Beer and Asahi Beer ad, 1930s, originally uploaded by Gatochy. Click image for 722 x 1000 size. (Thanks to Paula Wirth for translating!) Scanned from Taschen's "Japanese Beauties".